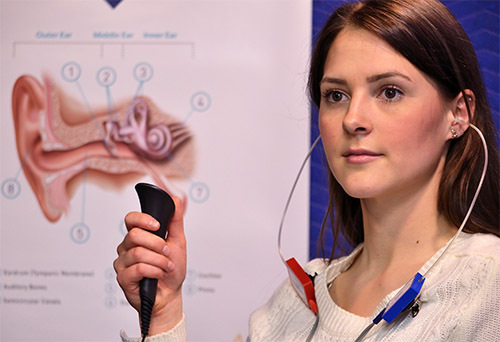 The hearing test is a one hour, in-depth assessment of your hearing by an audiologist. The purpose of this test is to determine the nature and degree of your hearing loss and the best treatment options. We use a number of different tests in this evaluation.